A truly rare find! 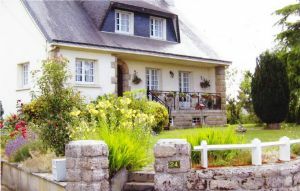 This detached Breton style home is offered with more than 1.5 acres of land including a small Carp lake with the hard to find benefit of being set on the edge of the village and within walking distance to a local bar and basic provisions shop. Ideal for full time living or as a fabulous holiday home and perfect for those looking to fish their own lake or to simply the waterside setting and year round wild life. 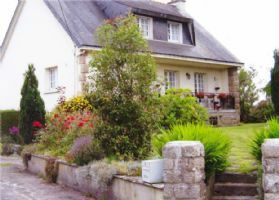 Set in the Morbihan department & offered ready to use the property benefits from mains drainage connection and comes with 4 spacious bedrooms and the potential to divide or create a self-contained apartment in the basement where there is already a summer serving kitchen, electrics, water and waste. 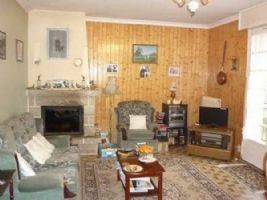 The home is a must view to appreciate the setting, gardens and lake and edge of village setting. A driveway entrance with ample parking lead to the garage and has steps up to the front entrance and balcony where there are views to the village and over the front gardens with front door entrance to the hall where doors lead to the lounge, 2 bedrooms, kitchen and family bathroom with stairs to both the first and basement levels. The light and spacious lounge has patio doors opening on to the balcony with views over the front gardens, there are ample power points and TV point plus 2 radiators and a lovely wood burning stove for cosy winter nights. 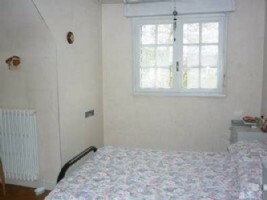 The room is finished on one wall with wood panelling. Opposite and off the hall is the main kitchen and comprises of fitted eye and base level units with work surface over, built in fridge, double sink, cooker point and dual aspect with garden & side views. Off the hall is a separate WC, plus further family bathroom with bath and shower over, bidet and basin (to refresh) There are 2 double bedrooms on this level, the first could serve just as well as a 2nd reception room, family room or would make an ideal diner with views of the rear gardens and lake, while the second double bedroom is larger and it too has rear views of the gardens lake and fields beyond. 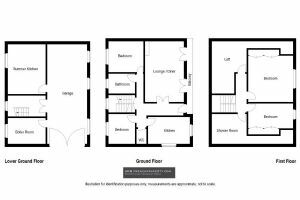 On the first floor is a landing with doors to 2 further double bedrooms, both with built-in double wardrobes & views to the front. At one end of the landing a door leads to attics part converted for use as shower room to be finished but already with hot and cold feed, waste, shower basin and WC. At the opposite end of the landing is a door to attic space and ideal for storage. Basement: Steps from the ground floor lead down to a large basement area. The basement area has its own entrance door at ground level leading to the outside and could easily convert into self-contained accommodation. Currently there is a large 2nd kitchen fitted with a good selection of storage units, space for a cooker, garden views, sin with drainer, heating by way of radiator. Opposite is the boiler/utility room that houses the oil fired boiler and has space and plumbing for a washing machine with window overlooking the rear garden. Panel double glazed doors lead from the inner hall to the double garage and workshop. The workshop has a bench, ample power points and sliding garage entrance doors that open on to the side of the property and drive. There is ample parking for a camping car or caravan. The gardens and outside space. These extend to more than 1.5 acres and are a real feature of the home that will be a joy for any budding enthusiast, nature lover or those who want to fish their own lake or simply enjoy the changing colours and waterside scenery throughout the different seasons. Stocked with Carp Roach and Perch the lake itself is approx. 30 X 50 mtrs. 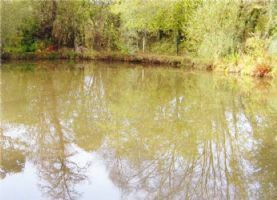 The current owners do not fish themselves but do very much enjoy feeding the fish and watching for visiting Kingfishers. 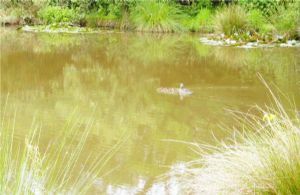 There are resident Moorhens that nest each year. 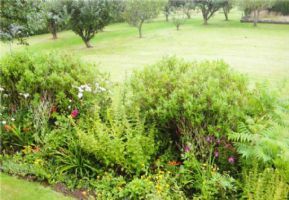 The gardens are established with lawn, flower beds and borders and are afforded a good degree of peace and quiet, ideal for relaxing, summer dining, entertaining or even having a go at growing your own Veg or raising some livestock such as ducks or chicken. 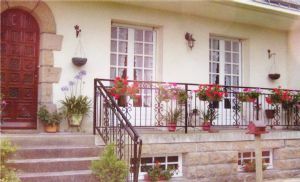 The current owners have found the neighbours to be friendly and inviting and they have enjoyed being part of the local French community. Offered for private sale available to buy direct from the vendors – so no estate agents commission to pay.